Mini Pumpkin Layer Cake - the cutest pumpkin cake recipe ever! Layers of pumpkin cake with cream cheese frosting, perfect dessert for holidays! Thanksgiving is next week and I seriously can’t believe that. How is it possible that a year has zipped by just like that? 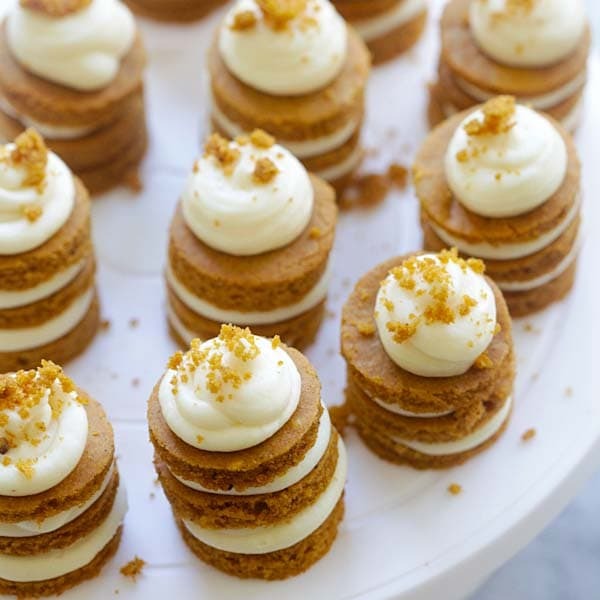 I am not sure if I am ready for Turkey day yet but I sure am ready for the desserts that I am going to have, for example: these cutesy mini pumpkin layer cake loaded with cream cheese frosting. Swoon! I am not a big fan of traditional pumpkin pie, it’s so predictable and may I say “boring.” This Thanksgiving, I urge you to shake things up in the desserts department and try something fun, bold, and utterly sinful, but every bit festive, like these dainty cakes or pumpkin cream puffs. Both are seriously good you want to have them every day! Again, thanks to my baking assistant for this recipe, adapted from The Baker Chick. They are crazy amazing. Make them and enjoy! Mini Pumpkin Layer Cake - the cutest pumpkin cake recipe ever! 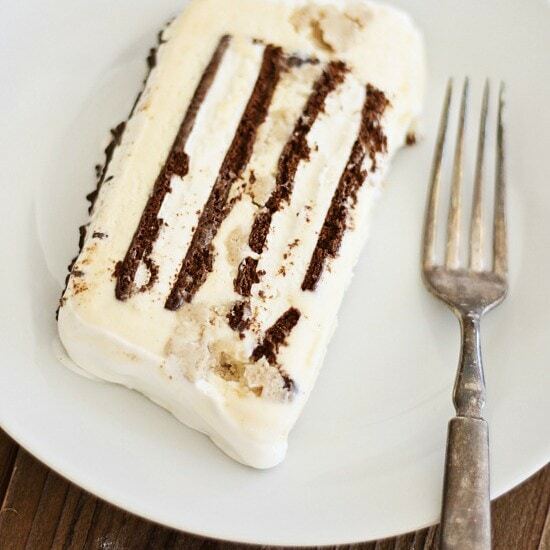 Layers of pumpkin cake with cream cheese frosting, perfect dessert for holidays. Preheat the oven to 350F. Grease a half sheet pan and line the bottom with parchment paper. Set aside. 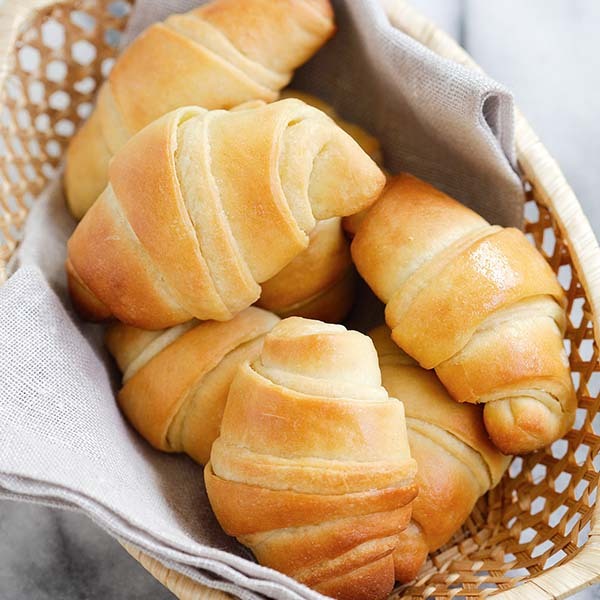 In a bowl combine the flour, baking powder, baking soda, salt and spices. Whisk together and set aside. Fit your stand mixer with a paddle and beat the eggs and brown sugar until fluffy. Add the oil and pumpkin, beat until well combined. Gradually mix in the dry ingredients in 3 batches alternating with milk. Do not over mix. Bake for 12-15 minutes, or until the cake is golden and cooked. Do not over bake. Let cool. Place a sheet of parchment paper on countertop and carefully flip the cake onto it. Peel off the parchment paper and use a 3-inch cutter to cut into rounds. Break the remaining cake (using your hands) into crumbs. 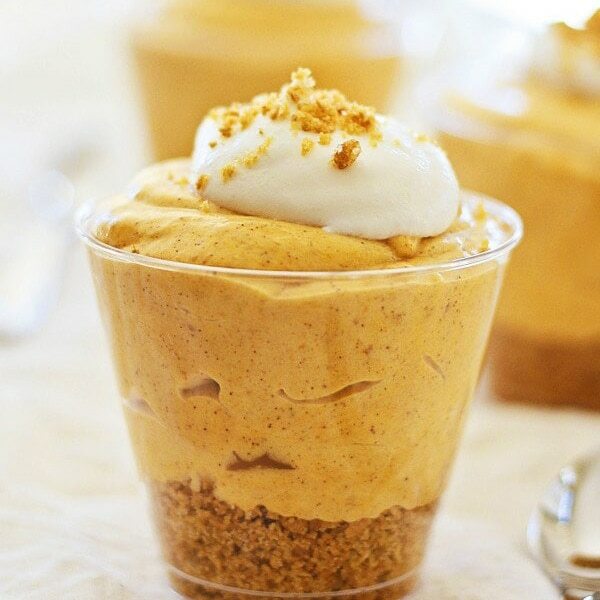 The crumbs will be used as the topping. Whip the cream cheese and butter until light and fluffy. Add the vanilla and the powdered sugar. All photos and recipes on Rasa Malaysia are copyright protected. Please do not use the photos and recipes without prior written permission. If you wish to republish this recipe, please rewrite the recipe in your own words instead of copy and paste and link back to //rasamalaysia.com/mini-pumpkin-layer-cake/. Thank you very much!